I have a java code and I want to convert it into Utf-8. How can I do it in console. By the way I have multiple files so it need to be do multiple conversion. We start by getting information about character set. We need to be sure files character set to convert accordingly. file is very useful tool to get information about files like file type, encoding etc. We will use iconv to conversation. But we need to know which encodings are supported by iconv . 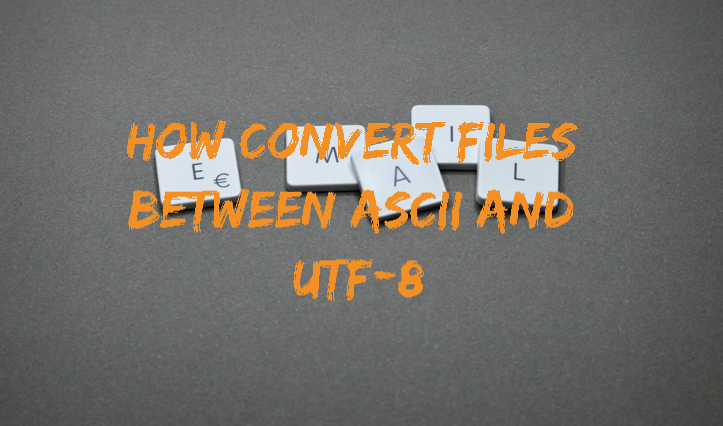 Whooa there is a lot of options to use but we think that ASCII and UTF-8 is enough for now. We will convert our java code by providing from and to encodings. We can make things automated with simple bash scripting help. UTF8 is the destination encoding to be used. How To Install OwnCloud On CentOS Linux?